Search for Catfish news on SeafoodNews.com. SeafoodNews.com, the most widely read seafood industry news in North America. Join SeafoodNews Weekly Recap co-hosts Lorin Castiglione and Amanda Buckle as they talk about MSC's fraud labeling study; meal kit popularity; Hardee's new catfish sandwich; and the latest efforts to save the vaquita porpoise. Two more companies are recalling Siluriformes products that were produced without benefit of inspection. Delta Pride Catfish announced earlier this month that they have appointed Shannon Terry has their new Sales Department Product Integrity Manager. 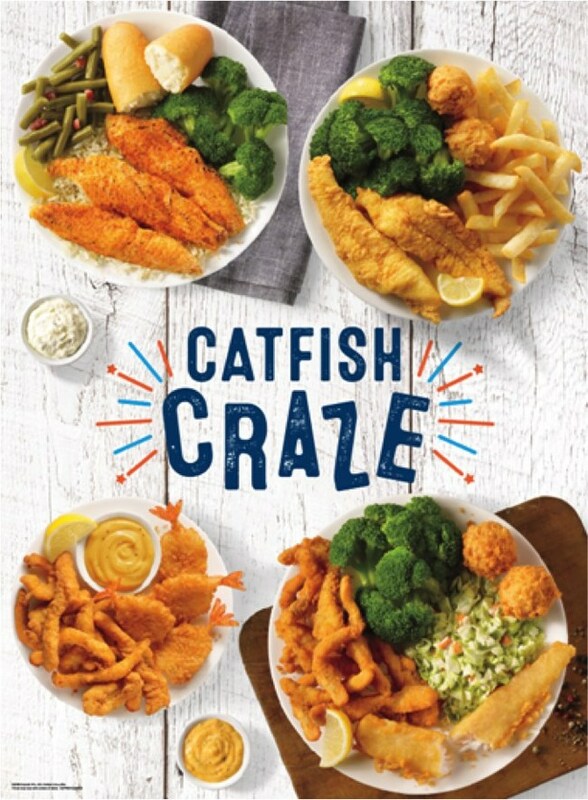 Captain D's, one of the nation's leading fast casual seafood restaurants, announces the launch of Catfish Craze - an array of delicious dishes designed for guests who are insanely in love with catfish. "Catfish is a beloved favorite of our guests," Captain D's Vice President of Brand Marketing Dawn Foster said in a press release. "It's a part of our everyday menu, but it's exciting when we are able to bring new ways for catfish lovers to enjoy it at Captain D's." The Consolidated Catfish Producers have added new members to their team. 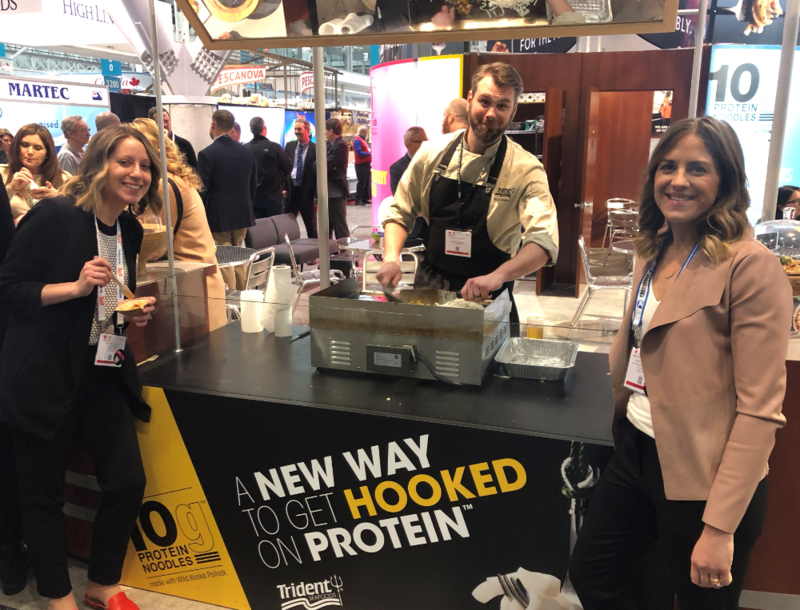 Food industry veteran Joe Forrester will be joining the company as their director of sales, while Carolyn Ann Sledge will be coming on as a marketing communications specialist. Alaska’s seafood processors and Mississipi’s catfish processors have little in common at first glance -- one handles wild-caught seafood in volumes and over time periods largely determined by the fish and the other pulls predictable volumes from the pond with reliable precision. But both benefit from plant efficiencies, which is what brought Alaska Sea Grant’s Chris Sannito to the Mississippi Delta recently. A fifth company has now issued a recall over Siluriformes products produced without benefit of inspection. The USDA’s Food Safety and Inspection Service (FSIS) announced on Tuesday that McAllen Cold Storage of McAllen, Texas, is recalling approximately 51,942 pounds of frozen Siluriformes fish products, specifically Basa fillets, that were not presented for import re-inspection into the United States. SouthFresh Aquaculture, which produces catfish and sells a range of other species such as oysters, and tilapia, filed for bankruptcy under Chapter 11, to reorganize the company with a strategic restructuring. The filing was in the Northern District of Alabama. The company plans to operate through the restructuring with a debtor in possession credit line of $3.5 million, plus cash from its continuing operations. 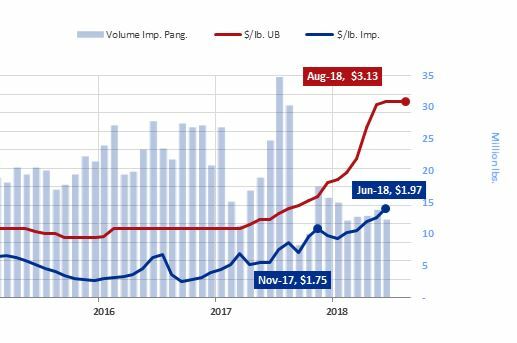 For the first time all year and since government regulation has switched from the FDA to the USDA, pangasius imports are within range of the previous three-year average. 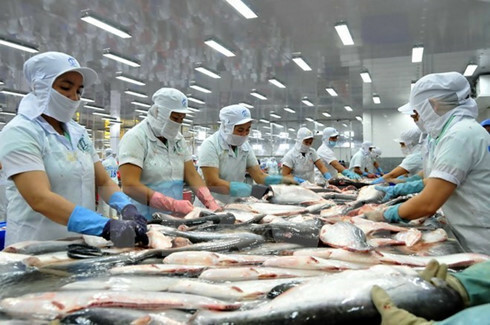 August imports of frozen pangasius fillets registered 22.2 million pounds from Vietnam, the largest monthly import volume for 2018. Volumes have increased again, after a significant 62.3 percent increase for the month of July, gaining another 11.6 percent into the month of August. 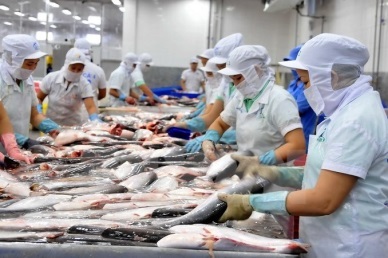 The Food Safety and Inspection Service of the USDA (FSIS) has approved Vietnam, along with Thailand and China, as countries with equivalent food safety systems to the United States for the production of catfish. The notice will be published in the federal register on Sept. 19th. This opens a 30 day comment period. The Office of the United State Trade Representative (USTR) is requesting comments on the World Trade Organization (WTO) dispute settlement regarding the import of Vietnamese pangasius seafood products into the U.S.